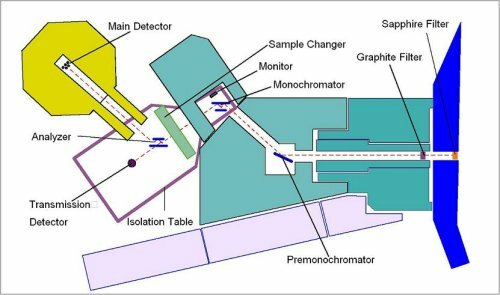 A perfect crystal diffractometer (PCD) for ultra-high resolution small-angle neutron scattering (USANS) measurements has been in operation at the thermal neutron beam port, BT-5 since 2002. The PCD increases the maximum size of features accessible with the NCNR's 30-m long, pinhole collimation SANS instruments by nearly two orders of magnitude, from ~102nm to 104 nm. Neutron ray diagram for the CHRNS USANS instrument.